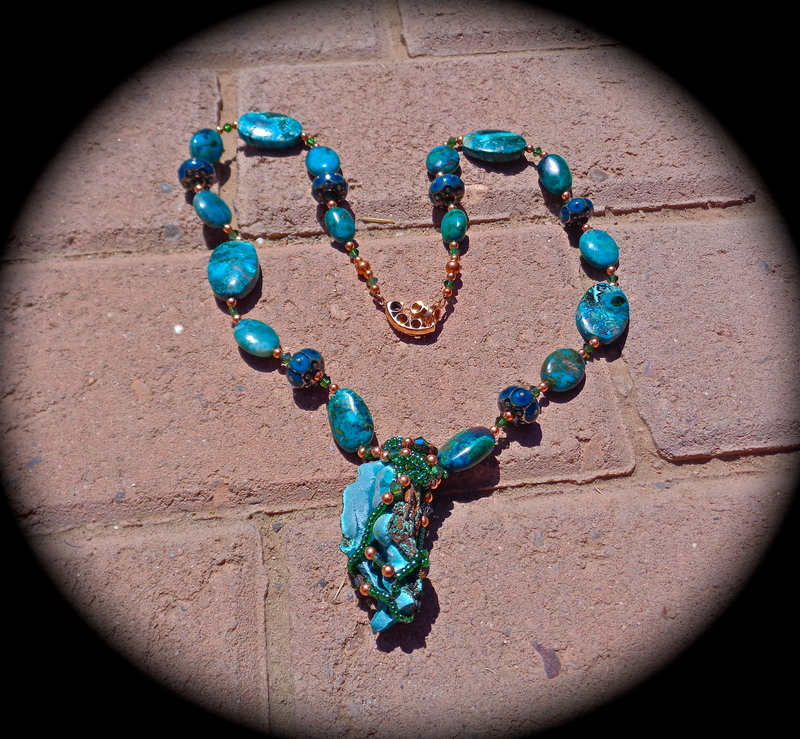 This lovely blue beauty is made of an exceptional quality of Chrysocolla. 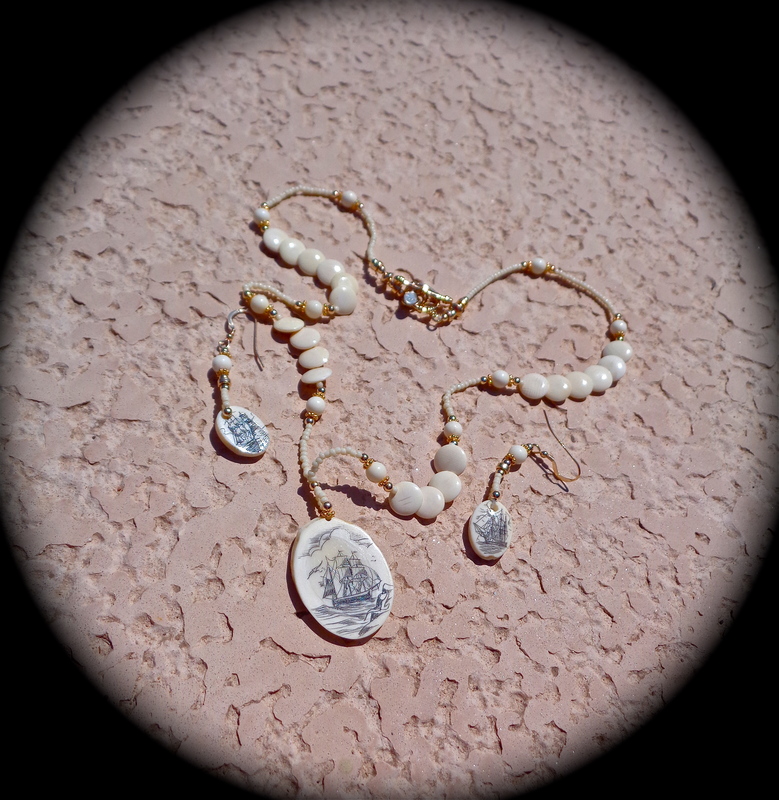 The central is a rough stone and the beads above polished. 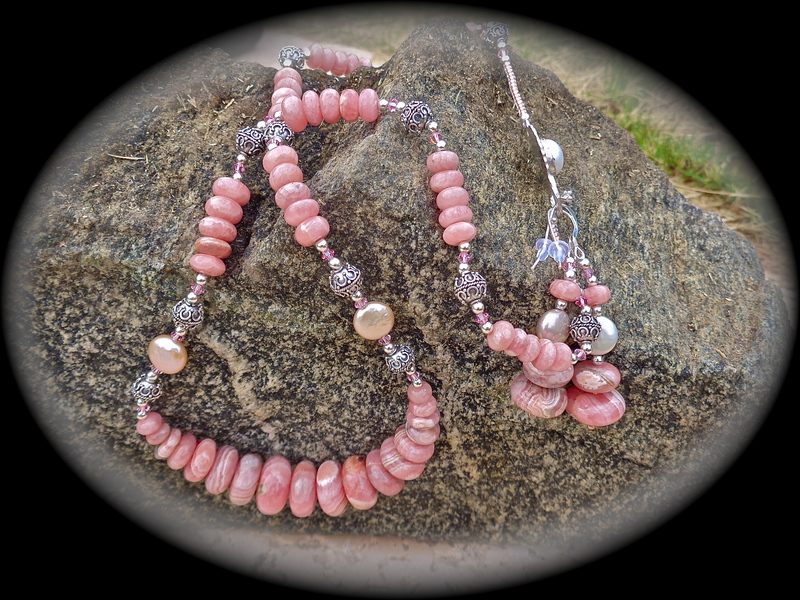 It is accented by beautiful lampwork beads, swarovski crystals and copper. 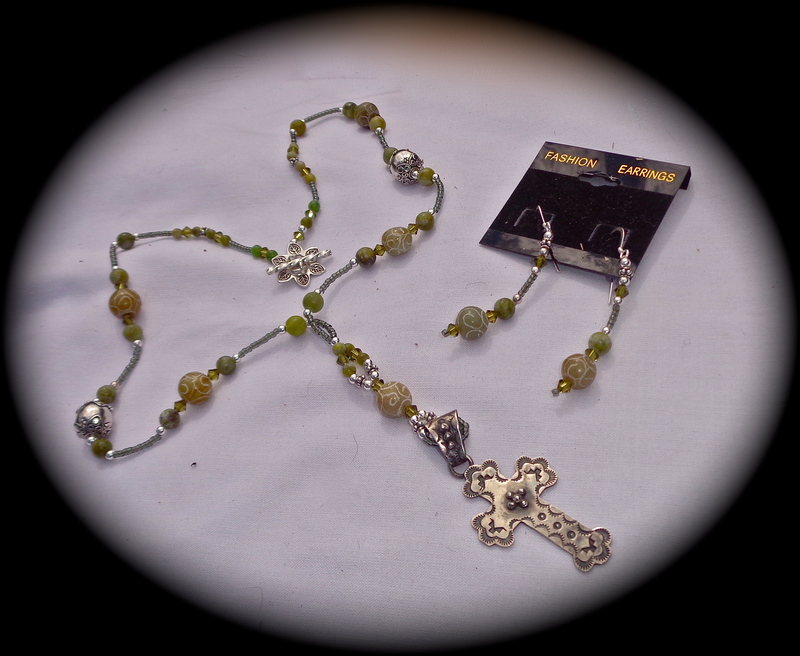 The central is beaded and the unique clasp is hand designed and made by Kim Fox. 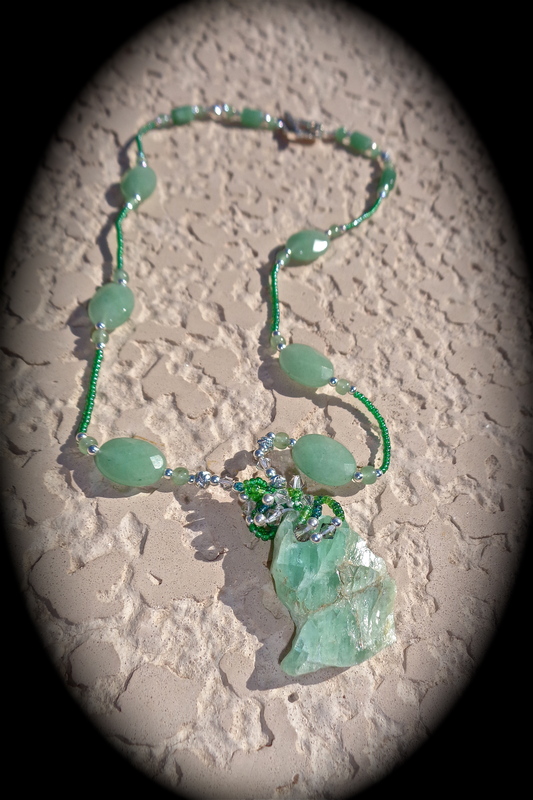 This is an exceptional necklace which displays the unique designs which Absolutely Unique LLC has available for shows in Arizona and California. This beautiful new necklace and earrings are made of Mammoth Bone with beautifully etched scrimshaws on both the earrings and pendant. 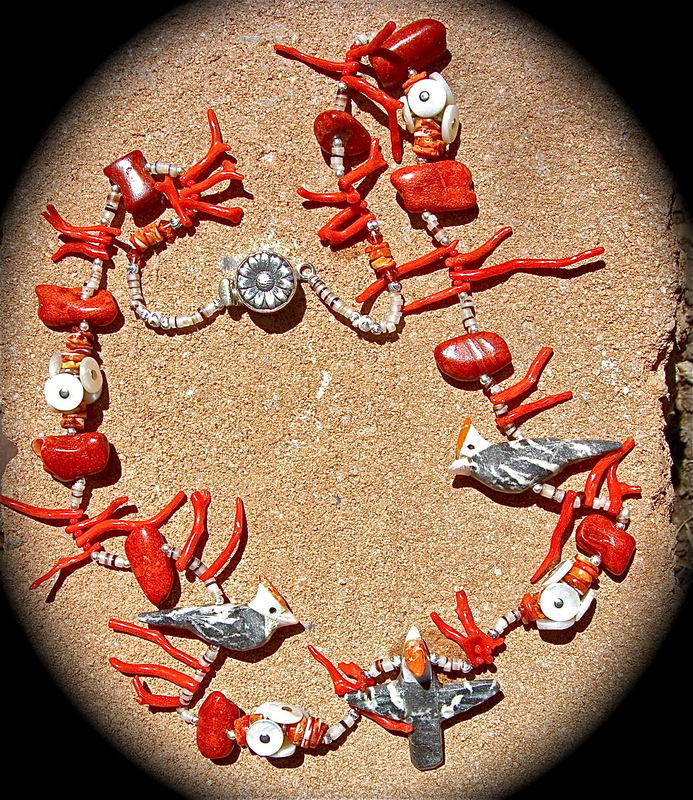 The unusual cross-cut Wooly Mammoth Bone make this necklace truly one of a kind. It is completed with 10K gold and vermeil.